Today, the best way to make your investment in Vikan profitable is to have a customised site survey carried out. In sectors with high hygiene requirements, such as food preparation environments, the inspection of cleaning equipment is essential in any effective hygiene management protocol. This is especially true since a study showed that cleaning equipment is the primary source of contamination. 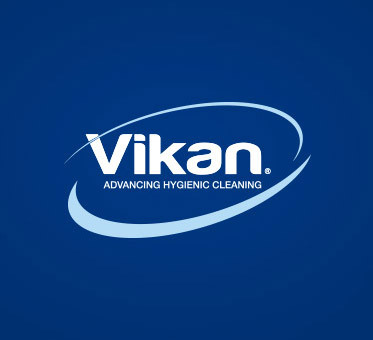 Using the Vikan Hygienic Zone Planner, the Vikan teams are able to help you establish an individually customised colour coded system and select the best storage methods and cleaning materials to meet your specific requirements. This process will inevitably streamline the number of items of cleaning equipment present on site, make inspecting them easier and ultimately reduce their turnover by increasing their longevity. Vikan teams regularly work in the food and beverage industry, kitchens and food preparation areas in the retail sector to meet new in-house requirements, to prepare upstream audits or simply to comply with HACCP, 5S, IFS, BRC or FSSC 22000 procedures. The use of colour coding to define zones and thus avoid cross-contamination is widespread in food preparation environments throughout Europe, regardless of the type of production or the reference standard. Normally, such colour coding is fairly horizontal (zone by zone) and follows the production line (forward flow). The most important thing is, of course, to work with cleaning equipment featuring a colour that contrasts with the foodstuff produced. This is why the Vikan teams are now most often called upon to discuss adaptation or updating of an existing colour coding plan. Some companies want to increase their level of hygiene by establishing a vertical colour coding system. This consists of establishing clear distinctions between equipment for cleaning machines/tools and equipment for cleaning floors, walls or ceilings. Additional colours are often required if one or more allergens are present, if new activities are taking place or when it is necessary to set up specific response kits relating to contexts such as broken glass, evacuations or the use of external cleaning contractors. All of these distinctive features can be indexed and integrated into the hygiene management plan developed for you by the Vikan teams. Each site then has a definite plan and a precise inventory, which will be updated regularly by Vikan, taking into account developments and new upgrades. We would also suggest using shadow boards or wall brackets, which help with better equipment identification and optimisation of equipment storage. As an example, we were recently working in the factories of a large meat processing group that wanted to standardise its colour coding and its use of cleaning equipment, as well as streamlining the number of products used for each factory. The Vikan teams worked at the designated sites and wrote detailed reports that enabled the Purchasing and Quality departments to achieve their objectives. As an added bonus, they are now able to be sure they are only using equipment approved for food contact, and will benefit from a reduction in consumption of cleaning materials. A fantastic combination of food safety and cost reduction! The expertise and the services that Vikan provides have long been recognised by large food and beverage groups in Europe. We regularly support them in dealing with new cleaning challenges. At the core of this sustained activity, I have recently noticed that Vikan is moving in two directions. Firstly, we are supporting increasing numbers of smaller regional organisations that are committed to maintaining control of their financial frameworks, and that are capable of meeting demands from both retailers and consumers in favour of more local production. Secondly, Vikan is moving towards the globalisation of its services. Large food and beverage groups are currently moving more and more towards integrated and standardised hygiene standards. They want to be able to benefit from Vikan services all over the world, involving many different challenges and country-specific conditions. This is driving Vikan to reinvent itself. During our travels and many site visits, we are often asked: “What makes Vikan different from our competitors?” Well, the short answer is our company’s purpose.